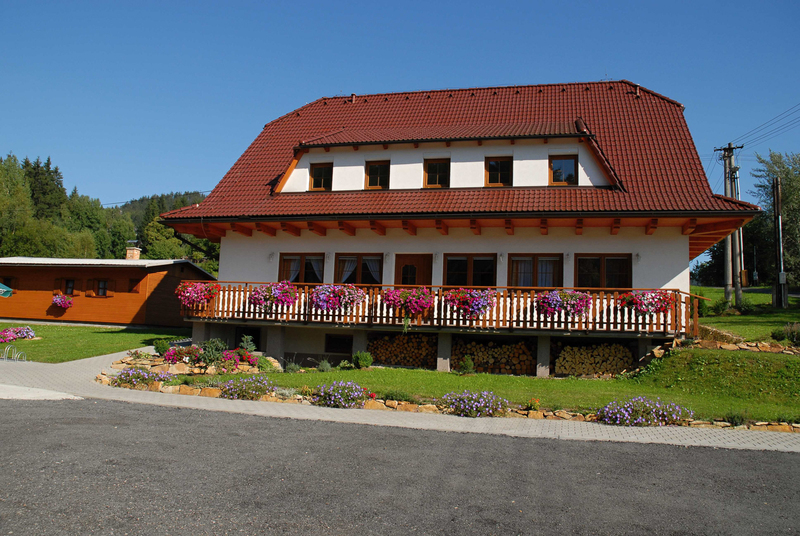 The guest house is located near the dam in Horní Bečva in a quiet and sunny location with a beautiful view (accommodation Horní Bečva and surroundings). The guest house is well accessible from the main road and is located close to the forest (stay close to the forest Zlín region). 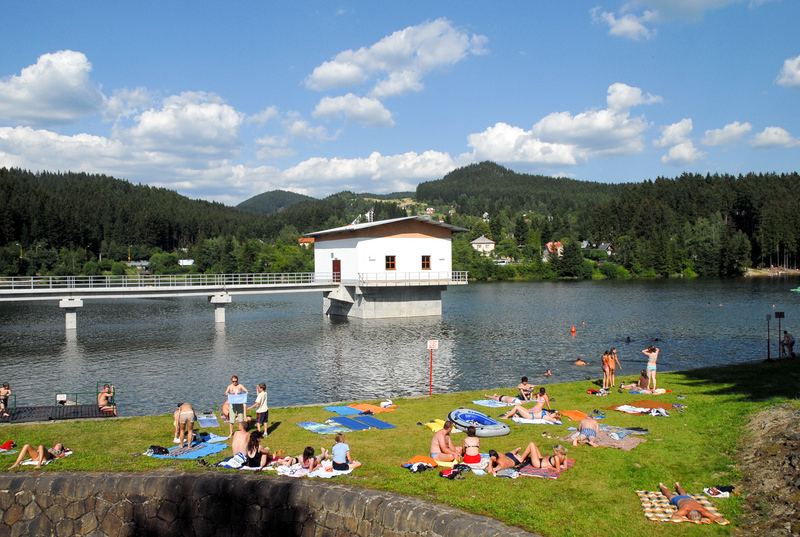 A wide range of sporting and hiking opportunities are available in Horní Bečva (holidays for sport lovers in Beskydy and surroundings). The guest house offers an accommodation in 5 rooms with 16 beds (accommodation for families with little children Beskydy and surroundings). 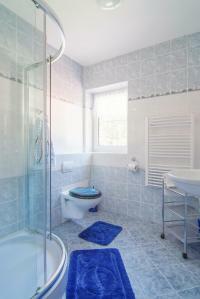 Each room has a bathroom with a shower (a guest house with its own bathroom Zlínský kraj and surroundings). Wi-Fi is available in each room (accommodation with Wi-Fi connection Beskydy and surroundings). You can use the inside seating with a fireplace, TV and the possibility of buying alcoholic and non-alcoholic drinks (holidays for individuals and groups Beskydy and surroundings). The price for accommodation starts from 430 CZK. Vyzkoušejte ubytování v penzionu U Přehrady v Horní Bečvě. 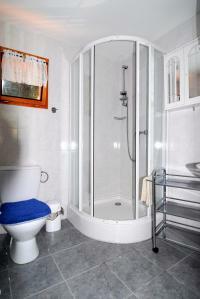 You can be accommodated also in cottage. 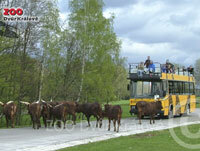 We offer 6 cottages (accommodation in cottages Beskydy and surroundings). 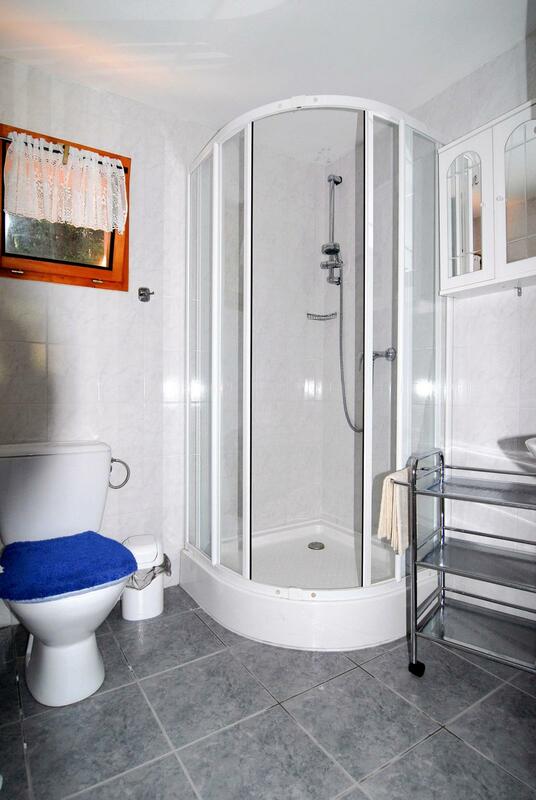 Each of them has a shower and toilet (holiday in Beskydy chalets and surroundings). Wi-Fi is available (family stays Zlin region and surroundings). Cottages no. 1 and no. 2 are for 6 persons (family cottage Zlín Region). 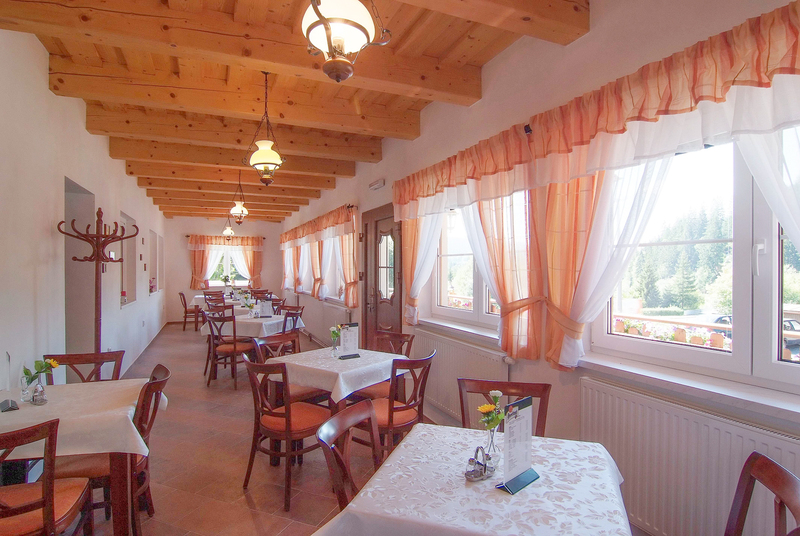 There are 3 double rooms, a kitchen and a refrigerator (accommodation with possibility of cooking Horní Bečva). Cottage no. 3 is for 4 people. 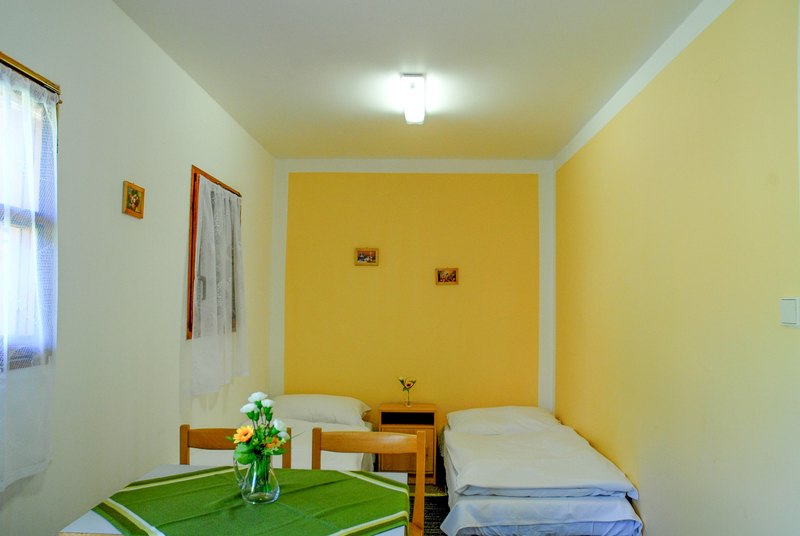 There are 2 double rooms, a mini kitchen and a refrigerator (active holiday Beskydy and the surrounding area). Cottage no. 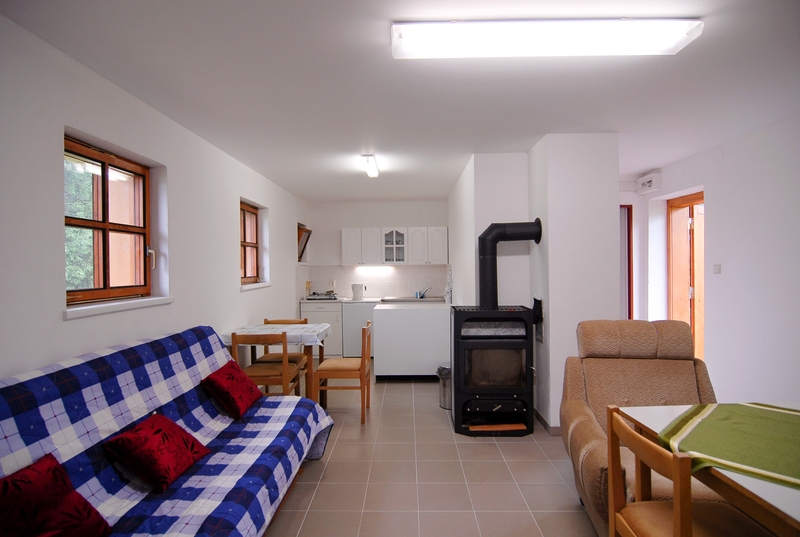 4 is available for 3 people with a possibility of cooking (stay for individual Zlín Region). 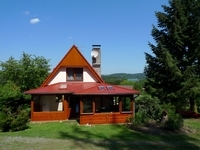 Cottage no.5 and no.6 are only for 2 persons, without cooking (stay in the nature Horní Bečva). 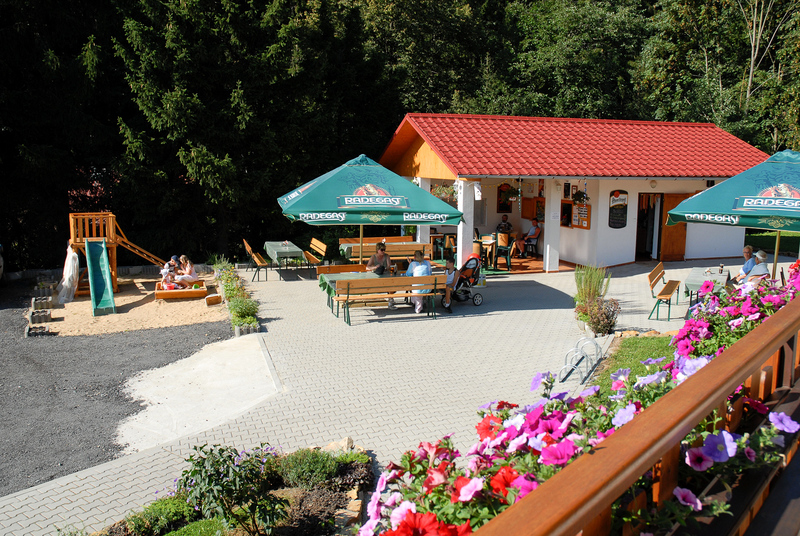 Eeach cottage has its own outside seating (stay in cottages Zlín Region). 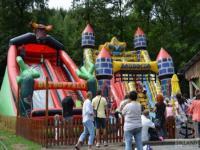 You can use a children playground, outdoor pins or garden in summer (accommodation with outside seating of the Beskydy Mountains and surroundings). Accommodation in cottages starts from 300 CZK. There are three large ski resorts close to the accommodation. Approximately 1,5 km far away (for example Ski Rališka, Ski Sachova Studánka) and up to 10km there are 4 other ski resorts (accommodation for skiers Horní Bečva). There are endless cross-country trails (cross-country skiing Zlín region). You can go hiking in summer. There are many tourist trails an also cycling trails. Especially the Bečva cycling trail is beautiful and starts about 150 meters from the guest house (the guest house for cyclists Horní Bečva). 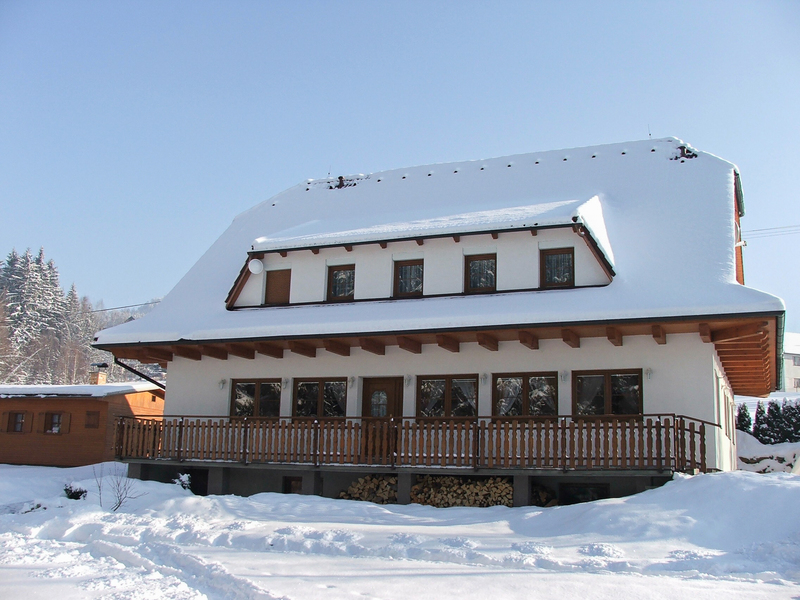 Thank to the good geographical location Horní Bečva is a popular place for summer and winter recreation (all-year-round accommodation in the guest house Beskydy and surroundings). 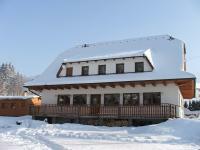 The guest house U Přehrady offers an accommodation for cyclists, families with little children, skiers, cross-country skiers, individuals, groups and so on.